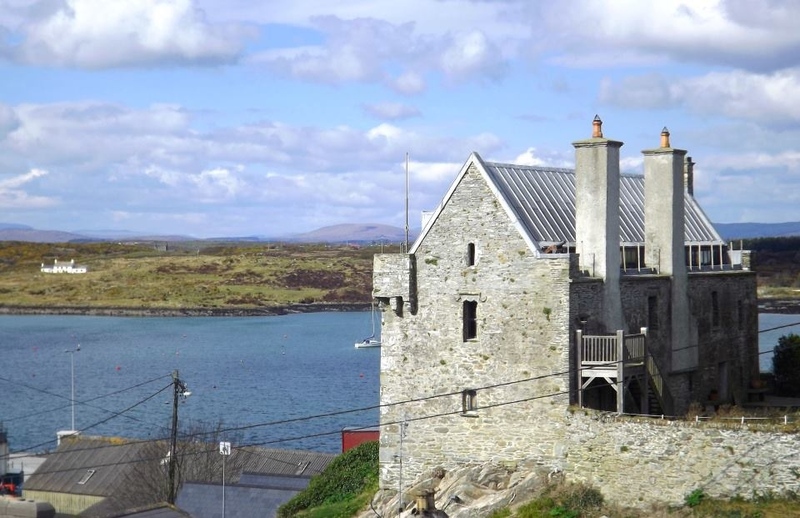 Dun na Sead Castle in Baltimore, West Cork – home of the O’Driscolls! Yesterday I asked “what was the connection between this castle and the US TV series “The Wire”. This is the castle of Dún na Séad and was the main seat of the O’Driscolls. But, as we’re beginning to realise – Gaelic surnames like O’Driscoll don’t come out of nowhere, but are part of a bigger clan – and usually with a lot of other surname cousins attached. Let’s look at this further: The O’Driscolls were part of the “Corcu Loígde” – who were the main clan in Munster until the early 600s until they were overcome by a larger clan – the Eóganachta (ruled by the McCarthys), to whom they then shifted allegiance. By the 12th century, the O’Driscolls – the leading family of the Corcu Loígde, were based in the Cork Dioceses of Ross – with their main seat in Baltimore. The O’Learys, Coffeys, Hennessys, a branch of the Flynns, Dineens, Cronins and Dunleas were all major families of this time who were descended from the Corcu Loígde. Dún na Séad castle – shown in our picture – was built around 1600 by Fineen Ó hEidirsceoil. It was built over a series of earlier castles on the same site (and probably ringforts before that). If you look at the families in the townlands and islands around Baltimore over the past hundred years, you will find lots of O’Driscolls as well as the surnames Collins, Donovan, Sheehan, Sheehy, O’Sullivan and Minihan.